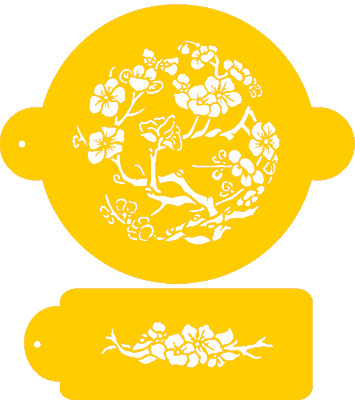 This beautiful set of two stencils includes a 7-1/2" Japanese Dogwood Scene and an accompanying side stencil for around the cake. 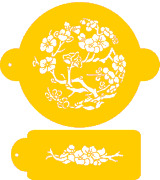 The side stencil is 1.6"H x 6.2"W and can be used as an endless design. It is made of plastic for use with any spreadable or sprayable color including, chocolate, fondant, buttercream or royal icing.